Vinyl Siding vs. Wood Siding: What’s the Difference? Older houses were originally designed for wood shingles, wood clapboard, or both. Original wood siding is a gorgeous feature and is highly desired by some homeowners. However, vinyl siding is also a big hit with homeowners for good reason. So, what’s the difference between vinyl siding and wood siding and which one should you choose when re-siding your house? According to the Vinyl Siding Institute, statistics from the U.S. Census Bureau show that since 1995, more homeowners side their homes with vinyl than any other material. Vinyl siding is said to be available in almost 350 different colors and can withstand winds over 110 mph. Vinyl siding is easy to come across, and even easier to install, even by a homeowner such as yourself. If you’re looking to change the appearance of your home without a lot of fuss and maintenance, vinyl siding is the way to go. 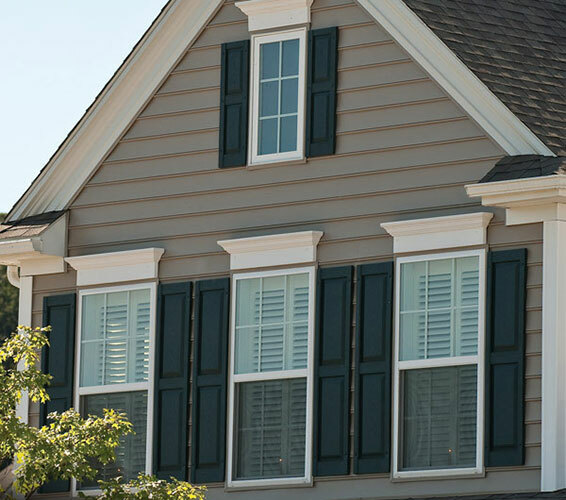 With vinyl siding, there’s no worrying about paint chipping, repainting, or re-staining. The biggest pro of all: vinyl siding costs much less than other home cladding options! However, there are also some drawbacks to choosing vinyl siding that you should consider. While vinyl siding is water resistant, it’s not waterproof. This means that water can sometimes get between the siding and the surface of your home, causing infestation and mold problems. To avoid this problem, house wrap should be installed behind the vinyl siding for added protection. Because it is exposed to the sun and other elements every day, some vinyl siding can also fade fairly quickly. By installing vinyl siding on an older home, you’re also losing some of the authenticity and originality of the structure. Essentially, you’re swapping out the classic look of wood for the lower cost and convenience of vinyl. However, if maintaining your older home’s authenticity isn’t a top priority for you, vinyl may be the way to go! While vinyl siding is the most commonly used siding material, wood siding has certainly withstood the test of time, and is still one of the top choices for homeowners. While there are many advantages to wood siding, there are also some drawbacks when choosing this material for your home. Wood siding is a beautiful way to preserve an older home’s original look. It provides organic warmth and timeless appeal that you just can’t get with any other siding option. 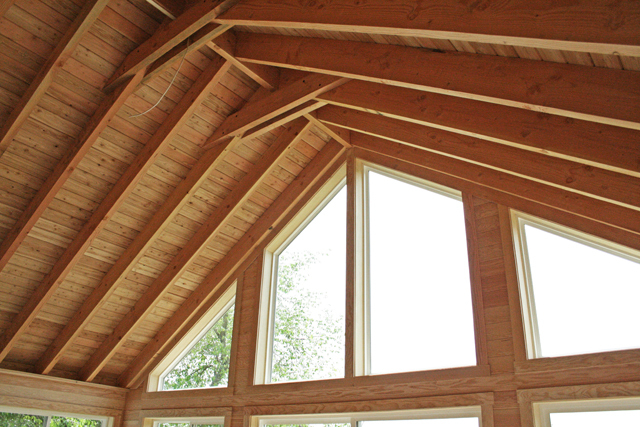 Wood is also readily available, and can be installed quickly and replaced easily when needed. Wood siding comes in a variety of options including wood types, styles, cuts, and many others. Cedar is a common wood choice for siding because it is decay-resistant. Choosing wood siding is also a great way to “go green!” Wood doesn’t have to go into the landfills, but even if it does, it decays into compost over time, making it ecological and environmentally friendly. While wood is a great product to use for your home siding, there are some drawbacks that you might consider deal breakers. Wood is easy to paint, and can be painted or stained in almost any color. While this versatility is a definite advantage, it’s also one of wood’s primary drawbacks. Wood must be painted, stained or varnished to protect it from harsh weather conditions and insects. Without regular painting, staining or varnishing, wood can crack or rot. Because weather, insects and water damage are so destructive to wood siding, it requires regular maintenance. In most cases, painting or staining every few years is enough to protect and preserve wood siding. While this regular maintenance is costly, it prevents rotting, breakage and water damage, saving money in the long run. Lack of maintenance to a home’s wood siding can result in damage from termites, the most common and destructive of insects. However, choosing the right type of wood, like cedar, can help overcome these problems because it offers natural protection against both weather and insects. While there are pros and cons to both vinyl and wood siding, ultimately the choice should come from you! If you select an exterior siding based on your needs, budget and maintenance preferences, you will enjoy the result for many years to come. Not sure which option to go with when re-siding your home? Talk to the experts at Kelly Fradet and we’ll help you determine what’s the best option for you, your home and your lifestyle! Looking for assistance with your home remodel or renovation? Contact us today or stop in to one of our showrooms!